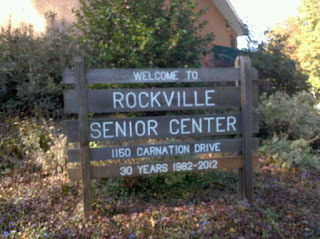 The progress of the Rockville Villages program, a concept designed to provide community support for seniors aging in place, will be detailed at a public meeting on Saturday, October 8, 2016 from 10:00 AM to noon in the Carnation Room at the Rockville Senior Center, located at 1150 Carnation Drive. A panel of village leaders from Rockville and elsewhere in Montgomery County will discuss their experiences so far, and answer questions from the audience. They will also be available to speak individually after the event. Representatives from the six villages forming within Rockville will also be on hand to provide information to those interested in finding out more. A tour of the senior center is planned, as well. The panel will be moderated by Pazit Aviv, the Villages Coordinator from the Montgomery County Department of Health and Human Services.